Monica Babuc replied to all the speculations regarding the interurban circulation of Ialoveni-Chisinau transportation. "Today, some of the people are enjoying that a problem had been solved, while others are still wondering why did I solve this problem and why now?! I remembered that Matei Visnek said:"You can live an entire life without listening to the No.37 symphony of Mozart, without going to an art exhibition or without opening the album that contains Pablo Picaso's paintings, but it is useless.."
I can barely say that Ialoveni should have all its lands. Dozens of families will be able to build their houses here. 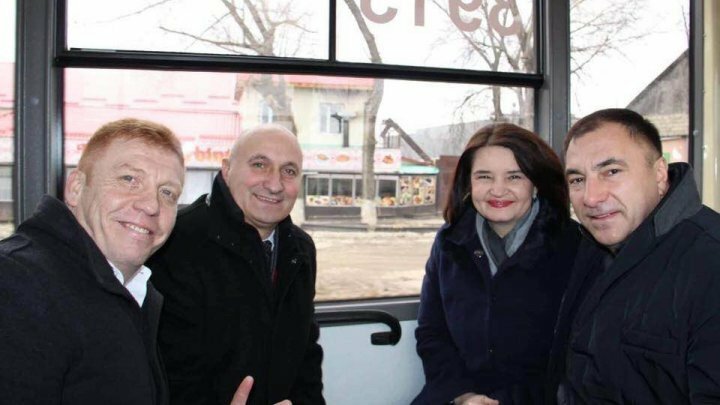 Now you also have a trolley that connects Chisinau and Ialoveni. It doesn't even bring economic damages to the both cities, because the authorities of both cities cover a part of the stents. I approved all these decisions, and I was the one who made the City Halls approve these projects. It is simple to recognize it, as we can admit that Ialoveni started to change", wrote Monica Babuc on her Facebook page.